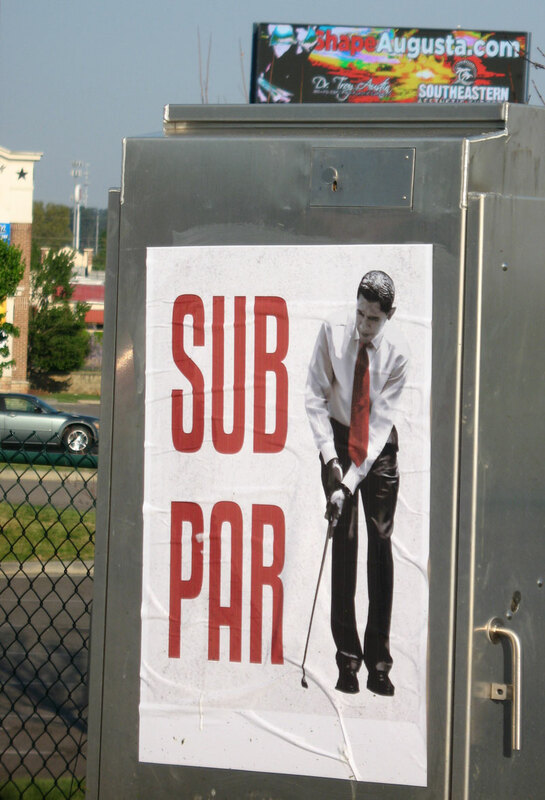 The Obama “Sub Par” posters are really starting to get around. 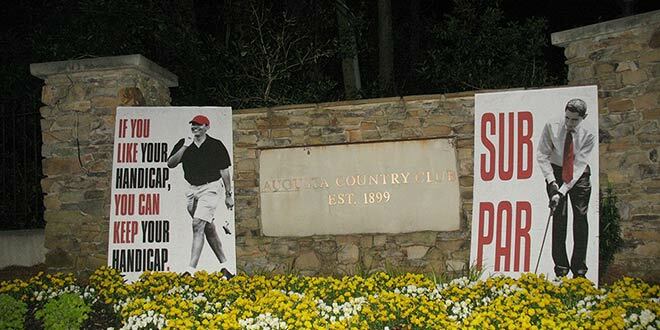 They first showed up in February outside the Riviera Country Club in Pacific Palisades, CA, where the PGA’s 2014 Northern Trust Open was being held. 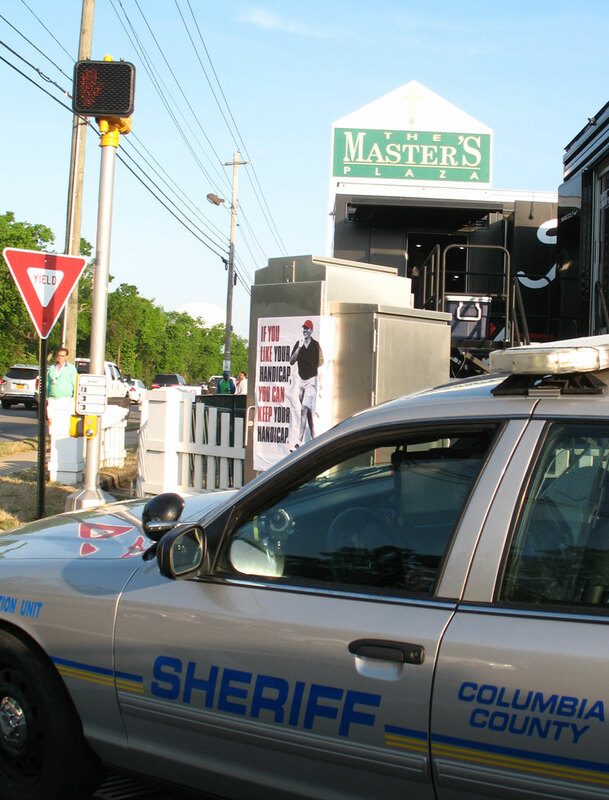 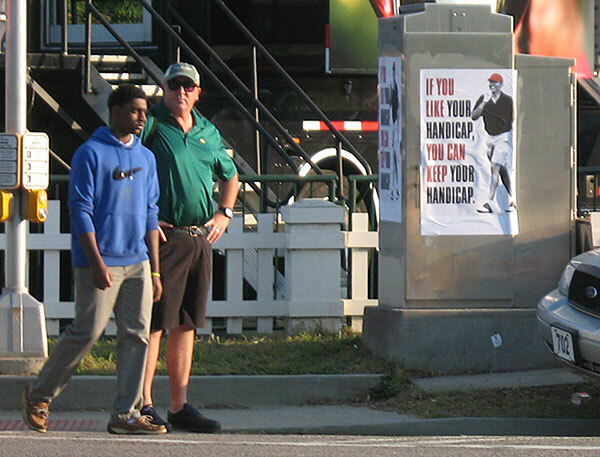 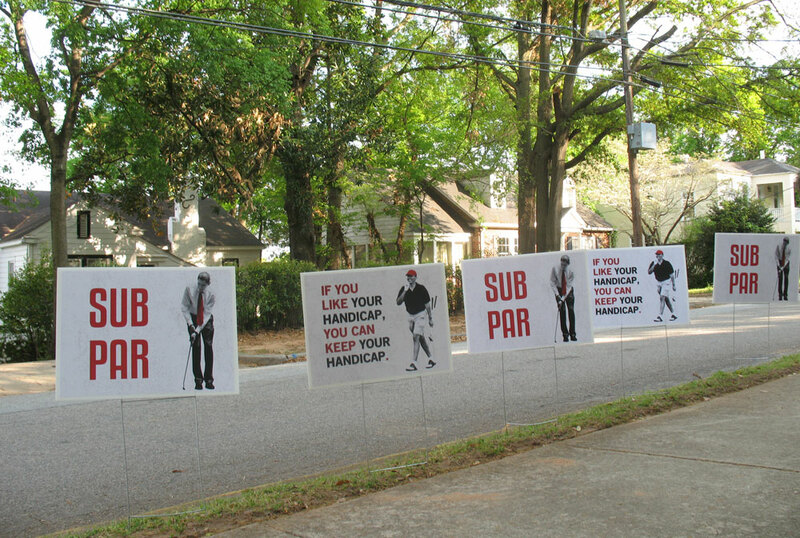 A new series of posters was spotted Friday morning in Augusta, GA, outside Augusta National Golf Club, where The Masters Tournament is taking place. 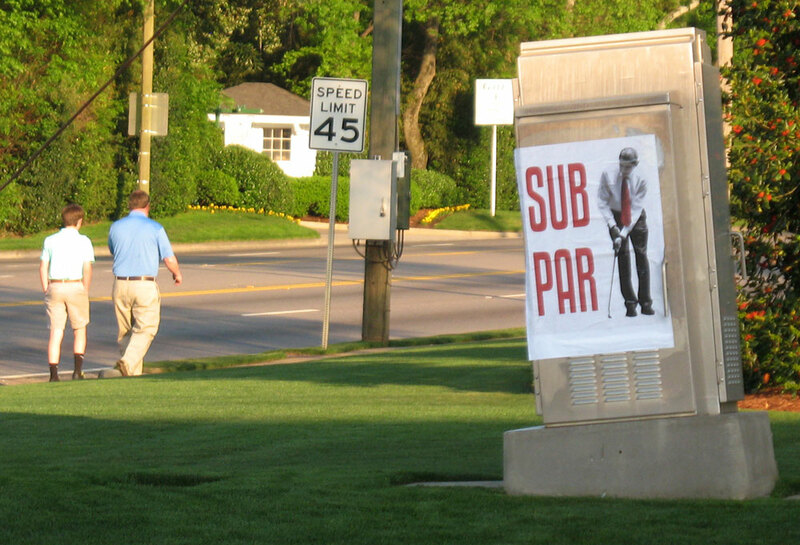 What are the Obama “Sub Par” posters? 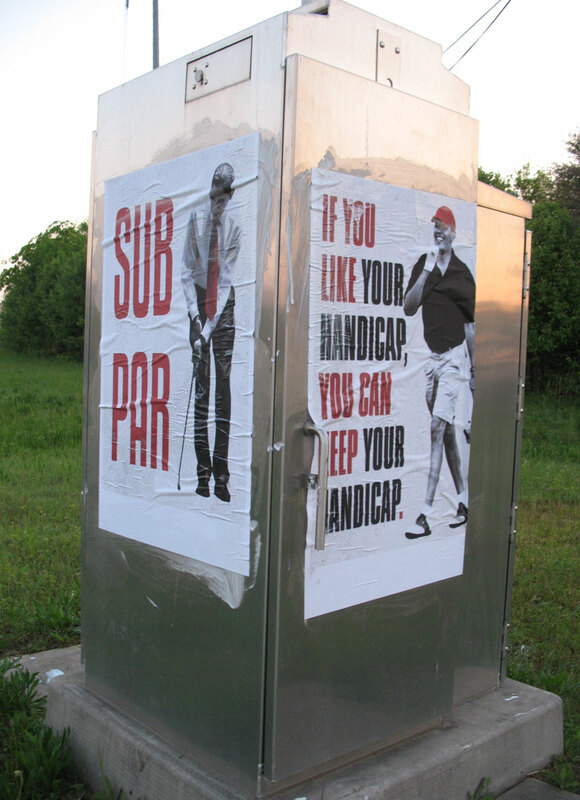 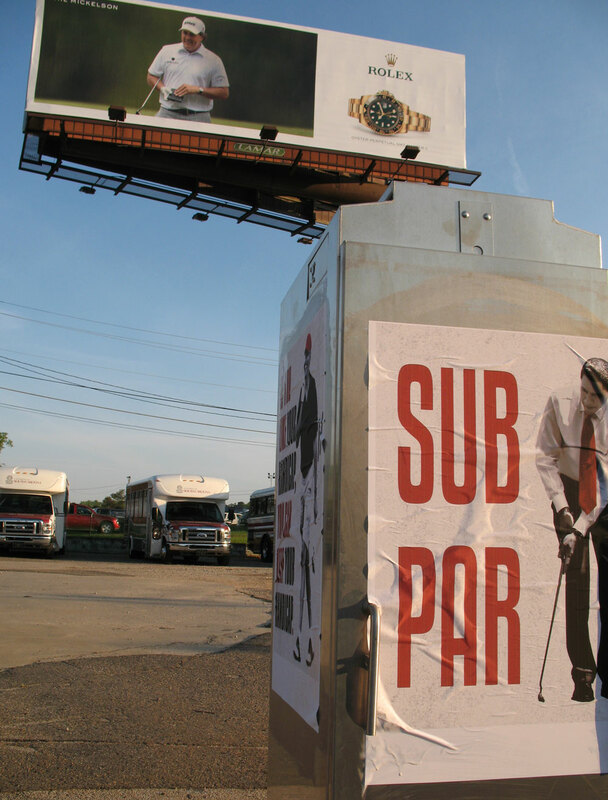 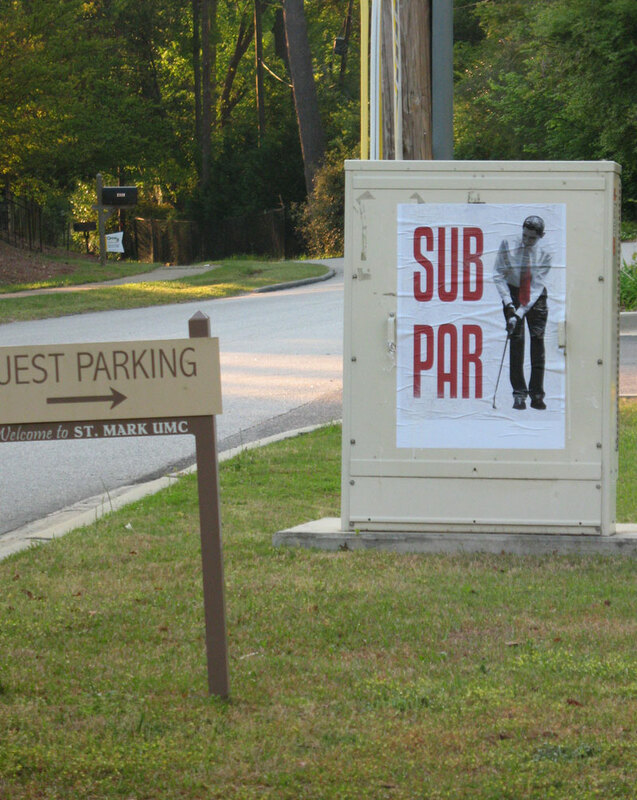 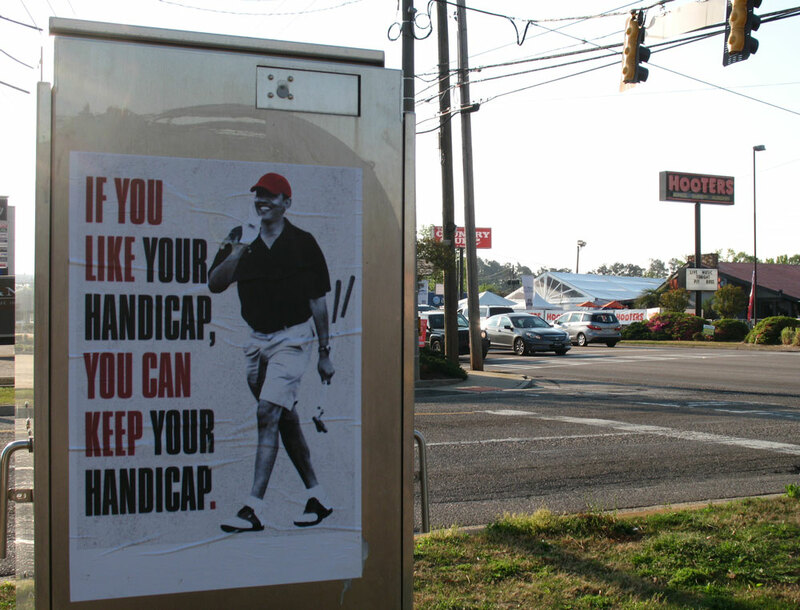 They are works of subversive, political street art done by an anonymous artist and put up “guerrilla-style” at public locations to garner attention and to satirically mock President Obama’s lack of skill, both on and off the course. 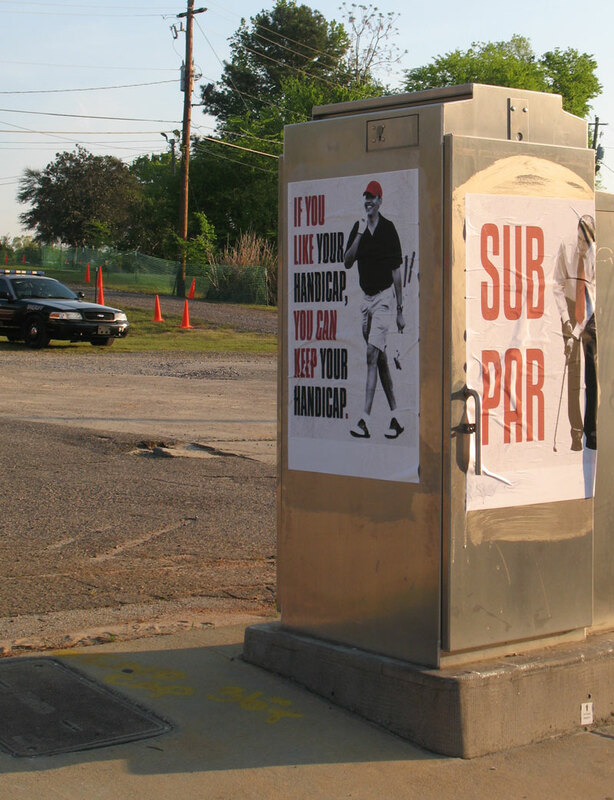 Sabo has never claimed responsibility for the Obama “Sub Par” posters, but they certainly bear a strong resemblance to his work. 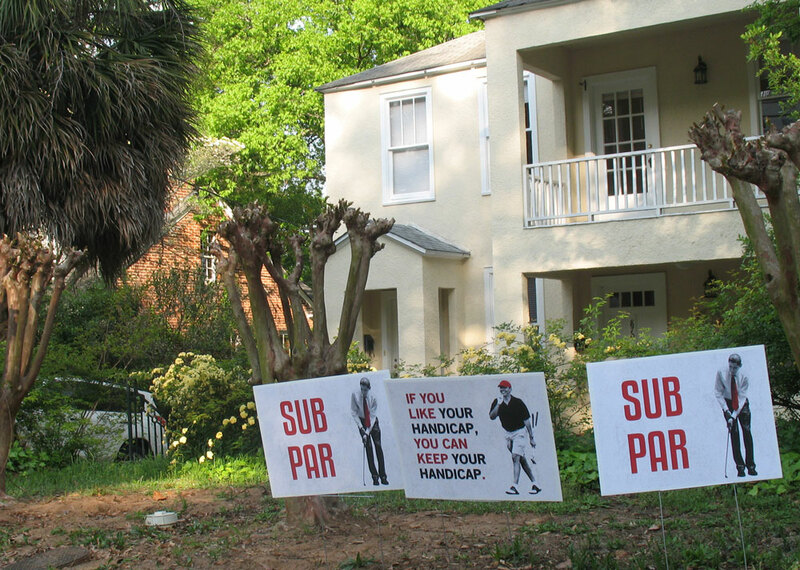 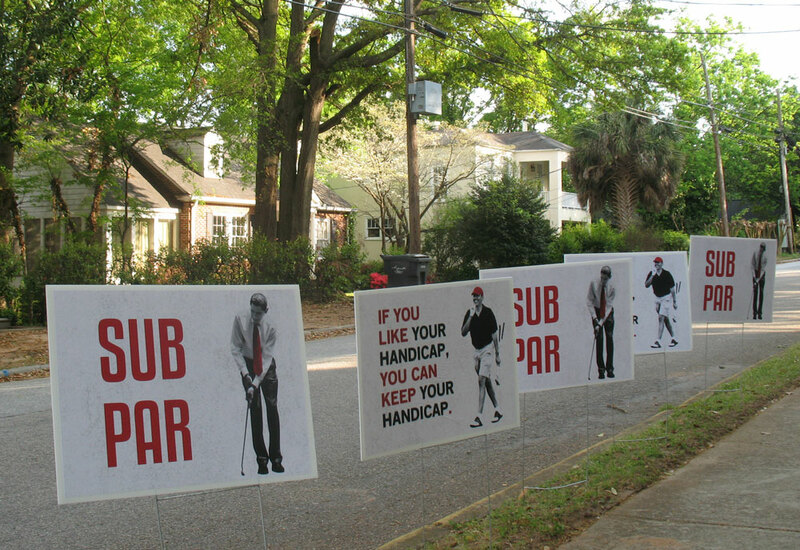 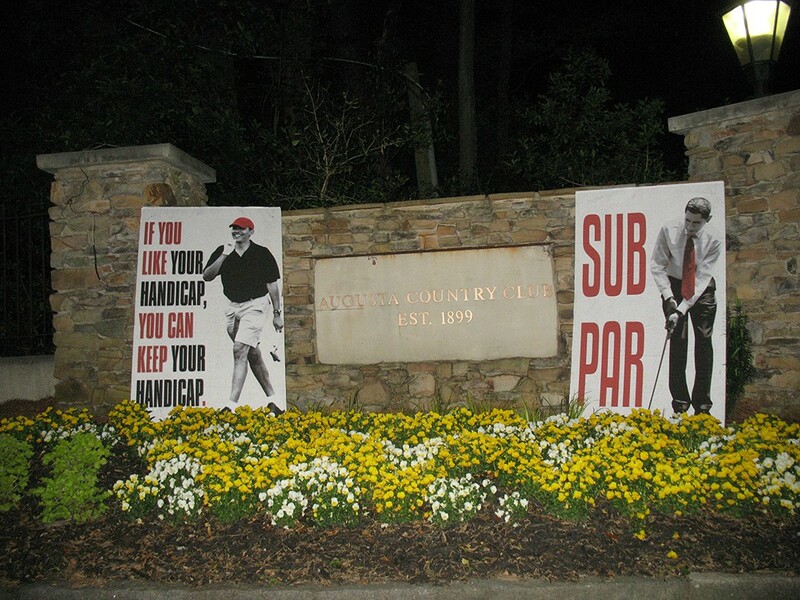 The latest series of Obama “Sub Par” posters from Augusta come in two varieties. 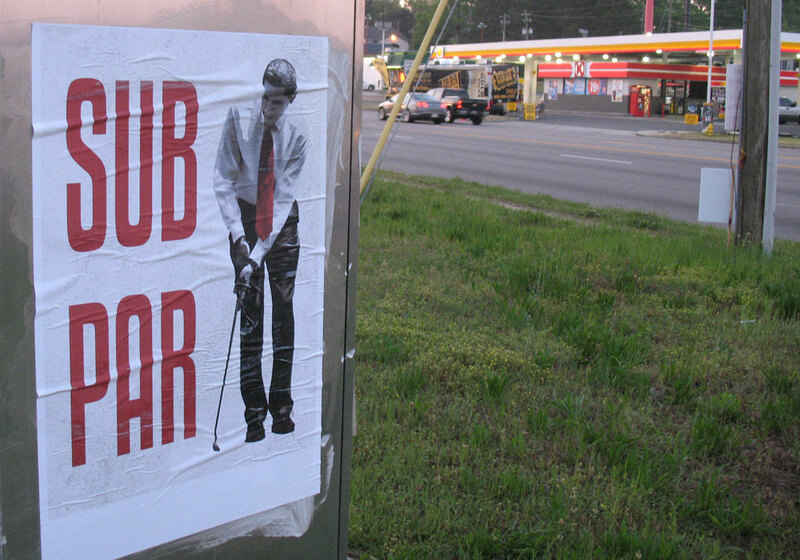 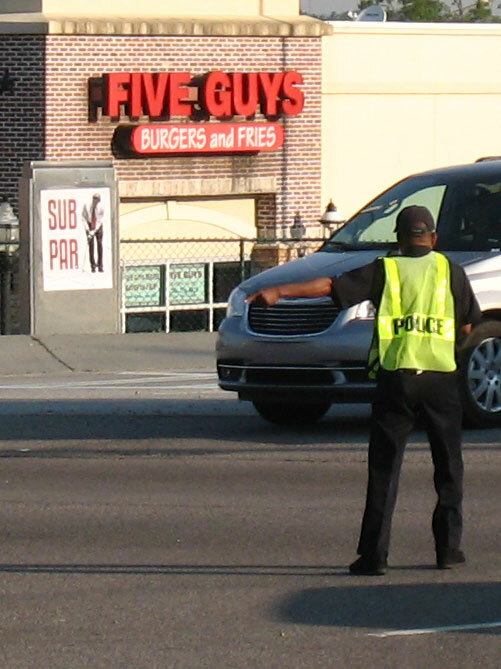 The first poster depicts President Obama attempting a putt while wearing a suit and tie (minus the jacket) and is accompanied by the words “SUB PAR” in all caps. 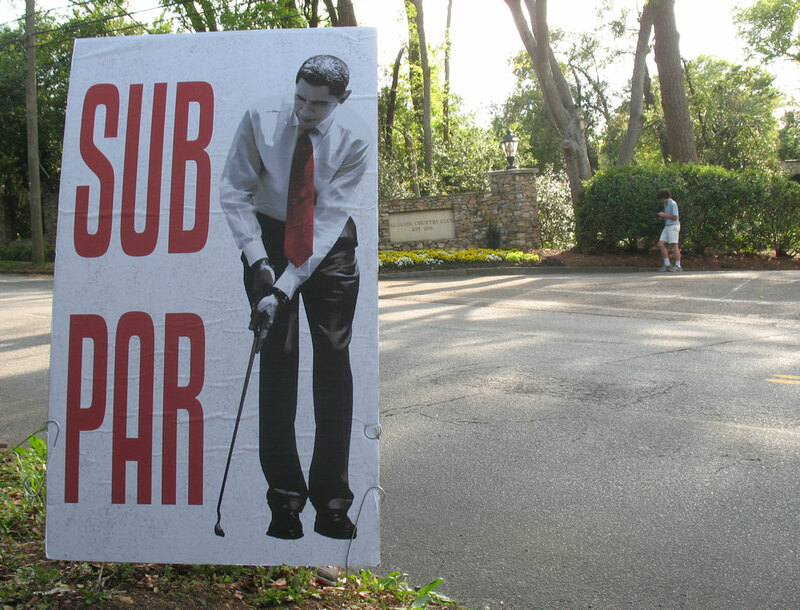 This poster was used in the Pacific Palisades campaign back in February. 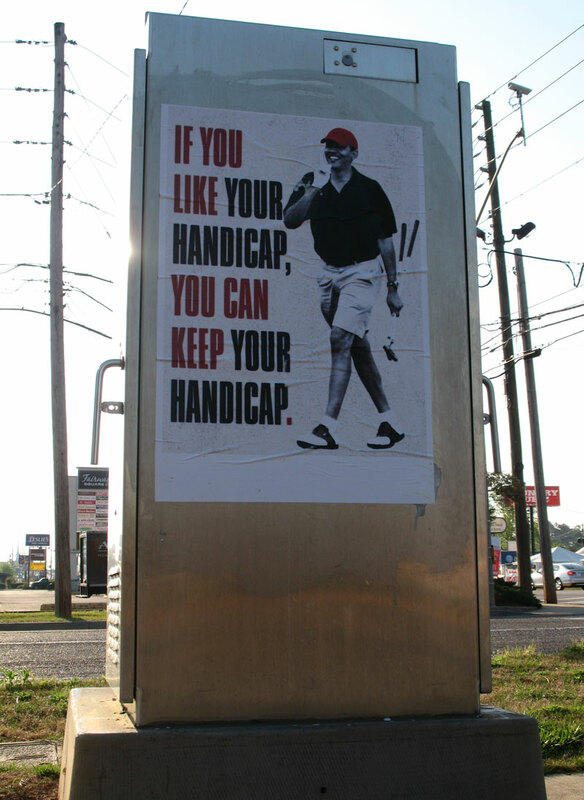 IF YOU LIKE YOUR HANDICAP, YOU CAN KEEP YOUR HANDICAP. 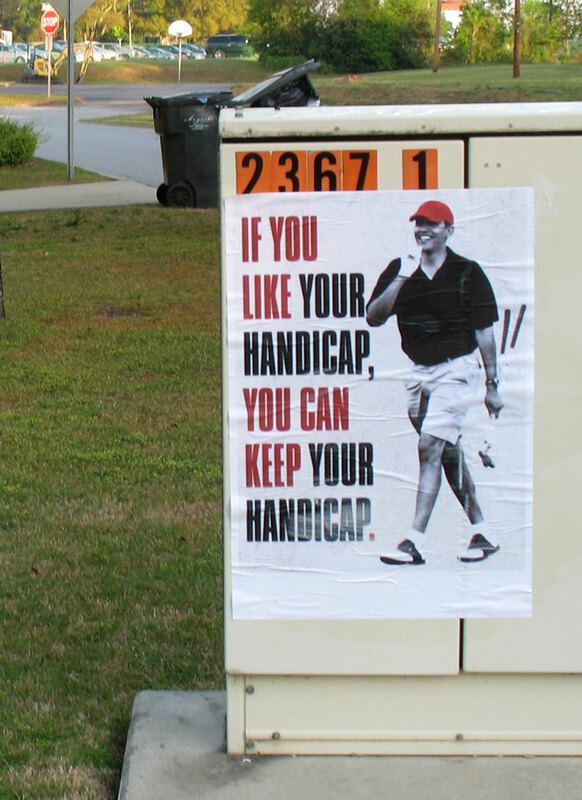 As far as promises go, this one is yet another bogey from this President.